Uncover a new you! Exfoliating scrub gently lifts away dead skin and deep cleans to reveal healthy, younger-looking skin. Massaging action rejuvenates and revives the entire body by increasing blood flow and circulation. Leaves your skin baby soft. Use weekly or bi-weekly, or whenever you want to pamper yourself. 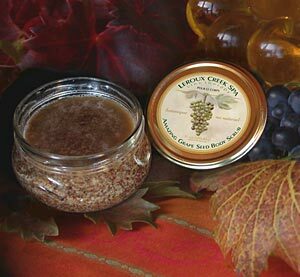 Ingredients: Brown Sugar, Ground Oats, Ground Grape Seeds, Grape Seed Oil, Jojoba Oil, Coconut Oil, Vit E T-50, Essential Oils.